Our interest in knowing how much forage we could produce for livestock with a diverse native grassland began with the thought of 238%. 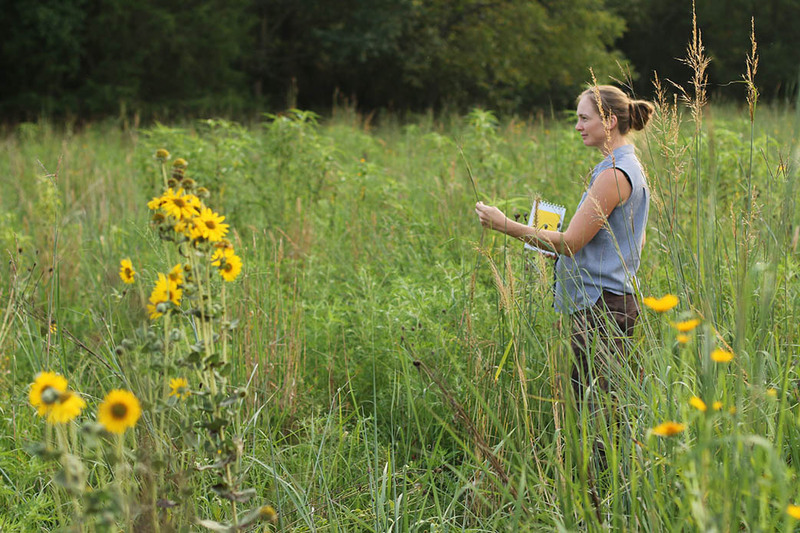 An article we read described a research project that measured the biomass production of a diverse, 16 species native planting versus the production of a monoculture. This project found that the biomass production of the diverse plots was 238% of the production of a single species – even if the single species was switchgrasss, which is considered Biomass King. If an increase of this magnitude could be achieved for biomass, could we significantly increase the forage production on our land with native diversity? In 2012, we replaced the fescue in a pasture with a mix of diverse natives. We not only included the native warm season grasses, which are so well known for their high quality and quantity of forage, but we also included native cool season grasses and native forbs and legumes. Since that time, we have been measuring the forage produced on the diverse native grassland as opposed to a fescue pasture on the next hill over. We just finished calculating grazing days for our grazing year (which runs April 1 through March 30), because we want to know how close we are getting to 238%. Last year was our 6th growing season for the diverse native grassland, and it is our best yet. We produced 241% of the forage that the fescue field produced. In other words, you can have a 100 acre field and grow fescue on it or you can convert it to a diverse native grassland and have the equivalent forage of 241 acres! Just by changing the plant composition, we are able to effectively more than double the forage production. There are many reasons we think that this happens. One is that the solar collector (growing plants) in a diverse native grassland is active for a much larger portion of the year; plants are growing nearly year round all within the same pasture. Also, there are roots in all depths of the soil, beneficial sharing of resources between plants and microbes in the soil, and improved nutrient cycling in the diverse native grassland. We have witnessed that the land growing diverse native plants drinks in the rain faster than a fescue field. 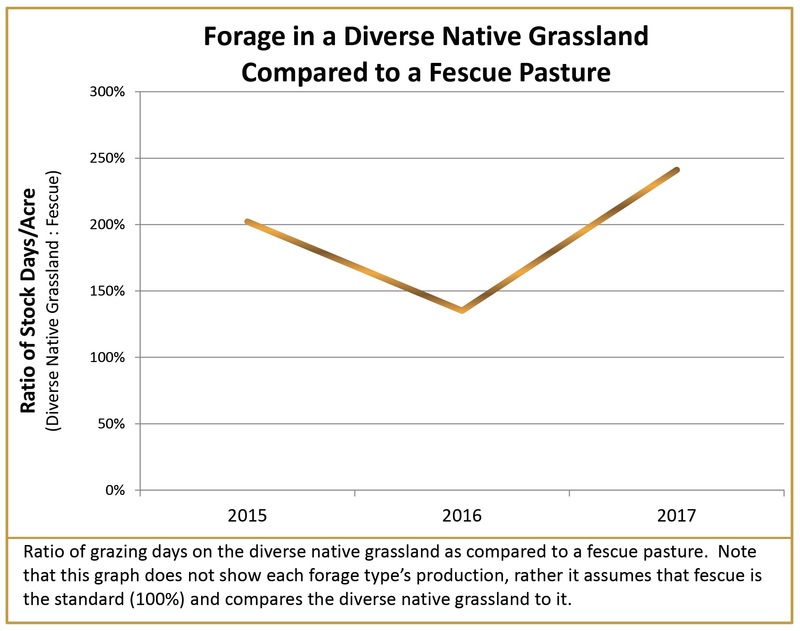 With all of these considerations, it is no wonder that the diverse native grassland is producing considerably more forage than the fescue field. To better understand how these factors influence forage production, read more about solar collectors, roots in all depths, symbiotic sharing of microbes and plants, nutrient cycling, and water infiltration by clicking each of the topics in this sentence.